I have used another of the wonderful free digi's from Beccy's Place "Clematis Beccy", I coloured with Copics, papers are from LOTV, I added pearls, ribbon and a sentiment. 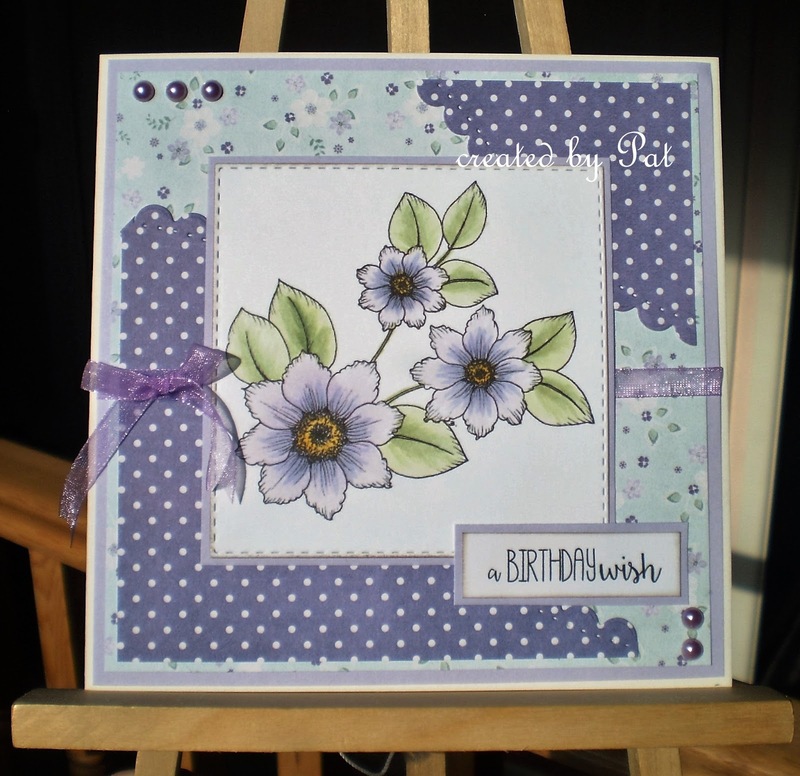 Beautiful floral card Pat, lovey image, LO and papers, the colours are gorgeous too! Pretty delicate blooms Pat and nice shades of lilac. So beautiful Pat, pretty image and colours. So pretty Pat - I love the way you did your corners! Gorgeous...surely, this means Spring is on it's way!